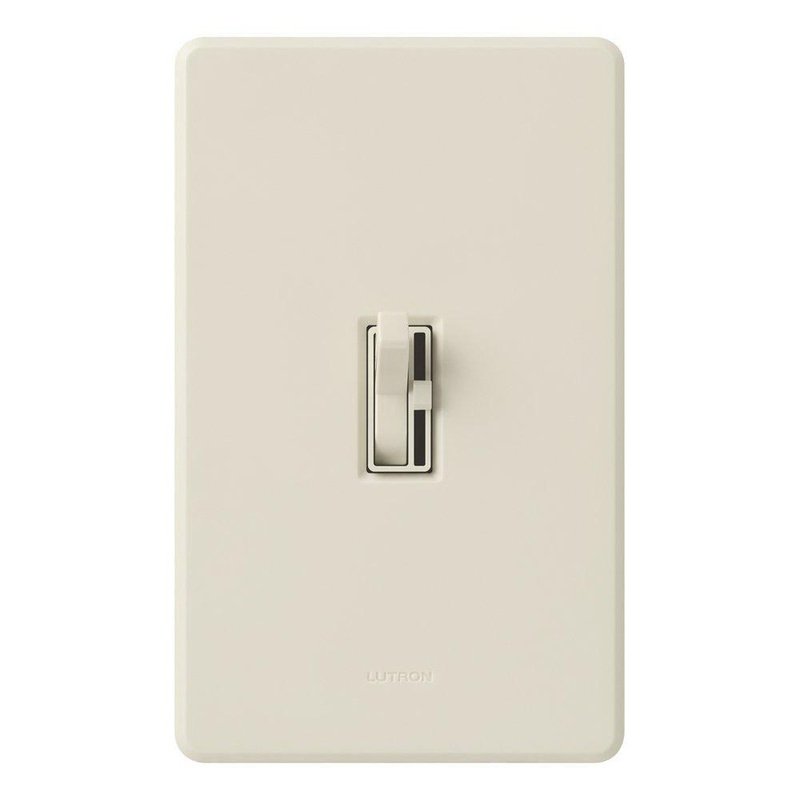 Lutron Ariadni® CL® 3-Way Preset dimmer in light almond color, features toggle actuator that allows to control the brightness of the light. It has voltage rating of 120-Volts at 60-Hz. This 1-Pole wallbox mountable dimmer in gloss finish, has CFL/LED load capacity of 150-Watts and incandescent/halogen load capacity of 600-Watts. It measures 4.6-Inch x 2.86-Inch x 0.23-Inch. Captive linear slider in the dimmer brightens the light level when moved up and dims when moved down. It provides reliable dimming of dimmable CFLs/LEDs as well as halogens and incandescent.